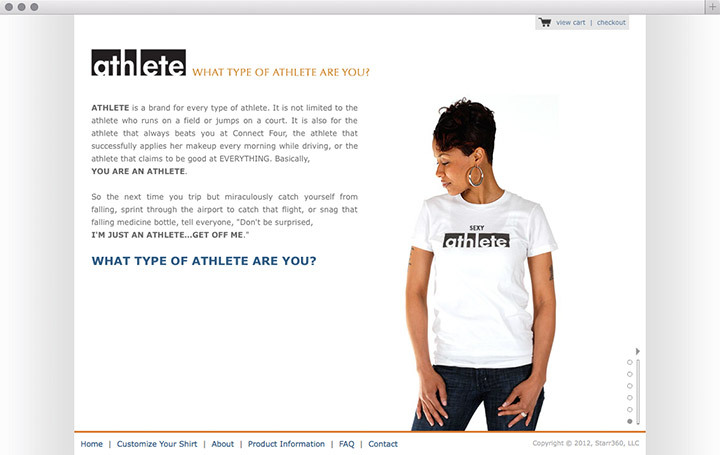 ATHLETE Shirts was an apparel company founded in the summer of 2009 with the purpose of allowing consumers to advertise what type of ATHLETE they were. 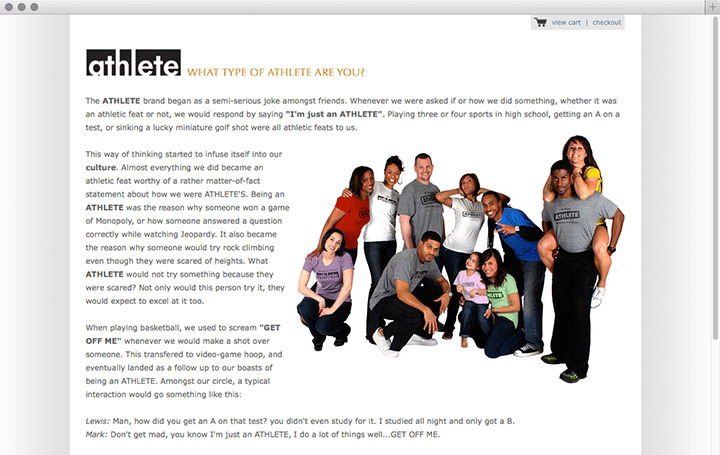 The design called for a simple interface that asked the user what type of ATHLETE they were. The Customize page was also designed for simplicity and interaction. The user could input possible tags, brand marks, shirt styles, and colors and immediately see the result on a shirt before purchasing. They could also submit tags to help other customers. 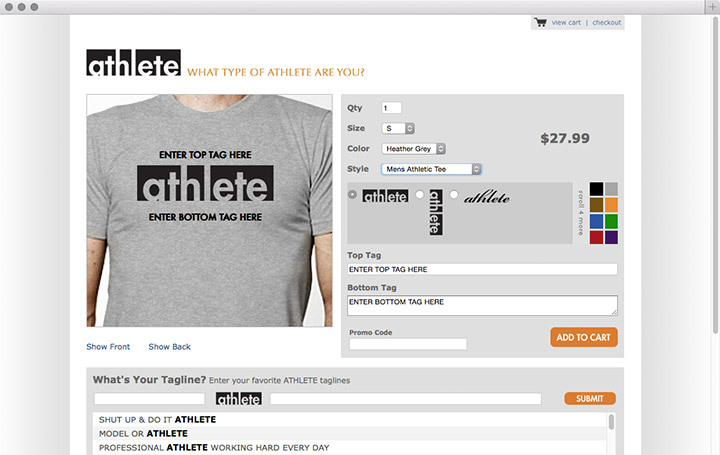 Since Athlete Shirts was a dynamic e-commerce website that relied heavily on database funtionality the coded website is no longer available.